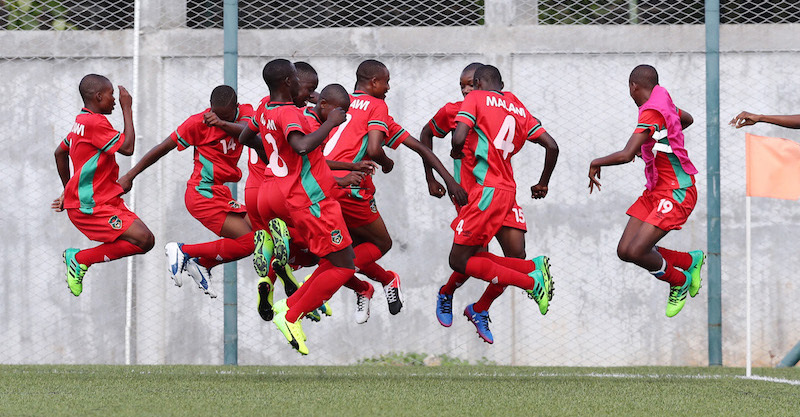 Hosts Mauritius grabbed a fantastic victory in their 2017 COSAFA Under-17 Championships Group A opener with a hard-fought 1-0 win over Zimbabwe at the Stade St Francois Xavier on Saturday. The win leaves the Mauritians in second in the pool after Malawi defeated Botswana 2-0 in their first game earlier in the day thanks to goals from Chinsinsi Maonga and Tathedwa Willard. Mauritius survived some nervous moments against Zimbabwe, but grabbed the all-important goal on 22 minutes when Louis Philibert netted a magnificent free-kick that left the Zimbabwe keeper with no chance. The game was a feisty battle after that, with seven yellow cards issued, but neither side could find another goal and it was the islanders who claimed the victory. Malawi had the lead on 15 minutes when Maonga’s shot was only half-stopped by Botswana goalkeeper Lesang Senne, and the ball trickled over the line. Chances came at both ends, but it was Malawi who deservedly doubled their advantage when Willard netted with a fine finish. Sunday will see the second round of matches in Group B, including the big one when South Africa take on Zambia (12h30 local; 08h30 GMT). Both sides won their openers on Friday, with the South Africans defeating Mozambique 3-1 and Zambia thumping Madagascar 7-1. The team that wins this clash could book their place in the semifinals, if the other match between Mozambique and Madagascar (15h30 local; 11h30 GMT) ends in a draw. Those two sides are in desperate need of a victory to keep their semifinal hopes alive.